This orchard was different from the others. First, the orchard was being converted from one variety and being grafted to another variety. The freeze was shown more dramatically because the sprinklers sprayed further and higher coating more of the trees in ice. In some photos you can see the snow pack on the Sierra Nevada range in the background. 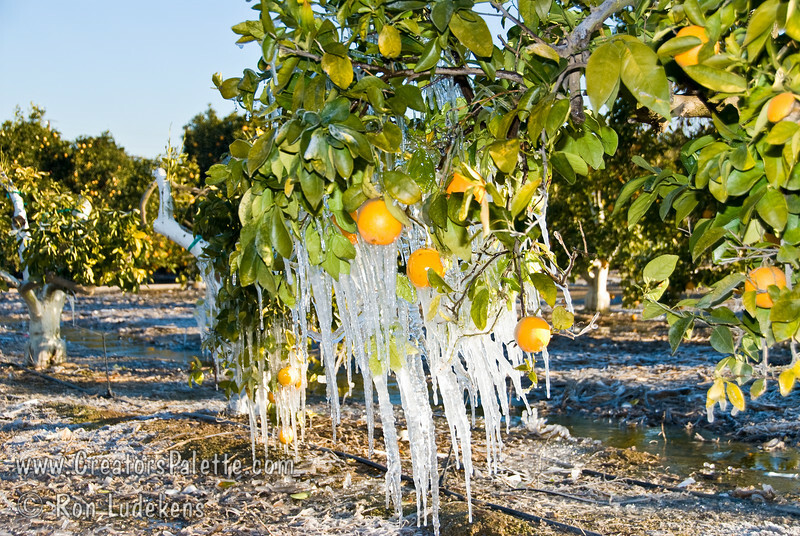 Photo taken on the morning of 1-13-2007 when the temperature plummeted to 19-21 degrees F - capturing the efforts of Tulare County farmers to protect their citrus crops.